Galway Rose, Nicola Corcoran and Bishop Martin Drennan with the John Paul II award recipients. Galway Rose Nicola Corcoran presented Pope John Paul II Awards to young people of the Diocese of Galway, Kilmacduagh and Kilfenora recently. 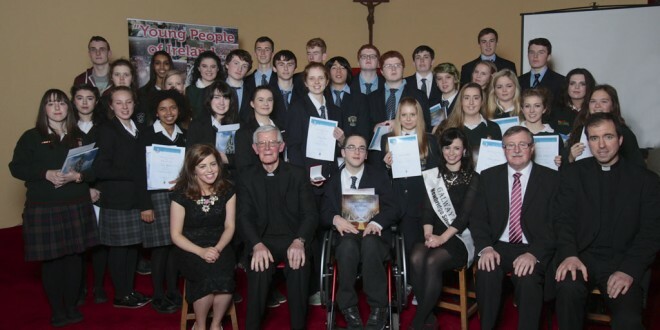 More than 50 young people from across the diocese, including South Galway and parts of North Clare, were acknowledged at the fourth annual Pope John Paul II Awards. The ceremony took place in St Mary’s College in Galway City, where Bishop Martin Drennan and Galway Rose, Nicola Corcoran, presented the participants with their awards for spending the last year as active members of their parishes and communities. The Pope John Paul II Award is dedicated to the late Pope John Paul II, in memory of his love of young people. “For young people, aged between 16 and 18 and living or going to school in participating dioceses, the Pope John Paul II Award enables them to become more actively involved in the life of parishes and communities. The young people who accept the task of doing the award, delve deeper into their talents and giftedness and share this with others. Many of them continue to remain involved in different ministries long after the award,” explained diocesan youth director, Maura Garrihy, who co-ordinates the awards for the diocese. “The award also helps to show future employers and educators that they are young people who can make an ongoing commitment to a task. The award is non-competitive, flexible and voluntary,” she added. At the ceremony, many of the young people shared stories on how they have grown, been challenged and what they learned from doing the award. “I now realise that we can and do shape the world in which we live. 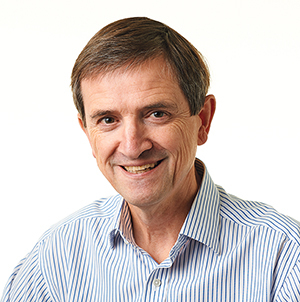 I have grown in my understanding of what it means to be an active member of society and church. Young people can and do make a massive contribution,’’ one participant said. Galway Rose Nicola Corcoran shared some of her own journey of faith and also spoke of all she has received from being an active youth leader in her parish. She, along with those who took part in the programme, encouraged other young people to continue to remain involved in their local communities and parishes and to continue being role models for others. Applications are currently being accepted for new participants for this academic year. More information is available from Maura at the Diocesan Pastoral Centre on 091 565 066 or email youthministry@galwaydiocese.ie.